The increasing use of technology for the development, delivery, administration and reporting of assessment – whether for end-to-end e-assessment solutions or for combined electronic and manual systems – means that regulatory issues also need to be carefully considered. 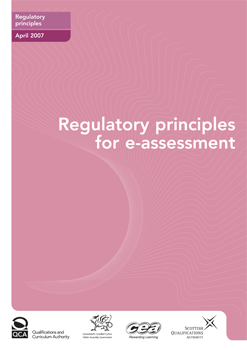 Ofqual’s ‘Regulatory Principles for e-Assessment (2007)’ (Download PDF below, 557kB) sets out the regulatory principles that address developments in e-assessment activity, where it is felt that regulation is needed to take account of the specific nature of this mode of delivery. These principles represent a new approach to regulatory intervention, intended to ensure flexibility and encourage innovation. The eAA website hosts extracts taken with permission from the Ofqual document to highlight specific points within the principles. These principles focus on the awarding organisation systems which must provide security of data input and transfer as well as making sure that the assessment of the learner isn’t compromised. The needs of the learner need to be considered at all times and technology must not create barriers to learning and assessment. The e-portfolio should be designed in such a way that it meets the evidence needs of a wide range of qualification types with secure access for the learner and those carrying out assessments. 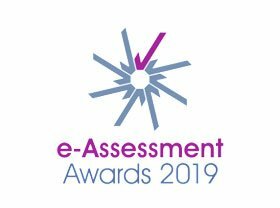 Awarding organisations must ensure that there is an appropriate level of support and guidance for centres and personnel involved in e-assessment. These principles focus on the management of e-testing arrangements and the requirements for item banks and adaptive testing to ensure that the assessment of the learner if not compromised.